After an impromptu 2-month hiatus, I'm back! I was so busy with my last semester of Uni that I needed a little break from blogging to focus on work. Hopefully no unplanned disappearances will happen again, at least not anytime soon. Whenever the seasons change, I have to adjust my skincare a teeny bit to account for the changes in weather. Granted, the weather in Dubai is almost always summer, with a week of 'winter' sometimes in January. Two weeks if we're lucky. But jokes aside, once June hits, it's scorching hot and beauty products have to be adjusted accordingly. Today's post features two daily moisturizers that I found are super lightweight, but still moisturizing enough for the hotter months. The first of the two is & Other Stories' Tulle Day Cream (£15 £7). It's called a gel cream, and is targeted toward combination-oily skin, which is what I have. I don't particularly love this product, but there's nothing I hate about it either. It has a light powdery scent that I'm not a fan of but it's hardly noticeable, and a little definitely goes a long way (which I learned the hard way as it's very easy to squeeze out too much). It's lightweight enough to wear under makeup, and it doesn't bother me that it has no SPF as I like to use a separate product for that, or just get it from my makeup. I don't find that it helps reduce the shine on my T-zone at all, but it definitely doesn't increase my oiliness in any way. I definitely don't recommend this for anyone who has slightly dry skin as I don't think it will bw moisturizing enough for them. Overall, I think this is a good inexpensive product, but not a great one. 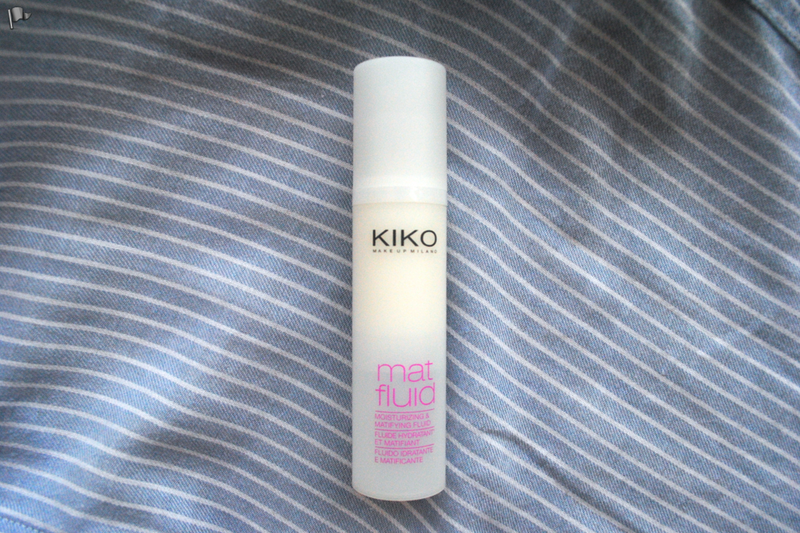 The second product I've been testing out is Kiko's Mat Fluid (£11.90). I picked this up on a whim when I was in Spain in January because I tested it out on the back of my hand and it felt amazing. I'm glad to say that after proper use this didn't disappoint me in any way. It has a fragrant scent which I love, and is so smooth to apply on the skin without being too heavy. I find it a bit more moisturizing than the & Other Stories one, while still being nice and lightweight, and giving my skin the perfect amount of moisture with or without makeup. I also like the packaging, and find that one pump gives me the exact amount I need for my whole face, so I never use too much product by mistake. Although I don't find it ultra-matifying, I do think it helps prolong the inevitable appearance of shine on my nose a little. Out of the two, I definitely think the Kiko moisturizer is the winner, and will probably repurchase it when I run out. Let me know what some of your summertime skincare essentials are, I'd love to read! I've never heard of these brands, but the products sound great! They're worth checking out - both have great makeup too :)!